Turkey will stand by New Zealand in its fight against terrorism, Fuat Oktay says. Turkey’s vice president on Saturday urged the international community to stand up against Islamophobia, xenophobia, radicalism, and racism, in the wake of Friday's terror attacks in New Zealand. 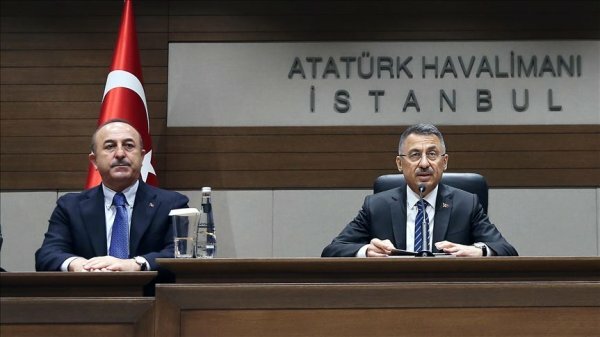 Speaking at Istanbul Airport before leaving for New Zealand, Fuat Oktay said: “This terrorist act, unfortunately, has shown us once again that there are no limits of hostility to Islam. We invite the whole world to stand up against Islamophobia, xenophobia, radicalism, and racism,” Oktay said. “Taking effective measures against Islamophobia-related problems has become crucial beyond necessity in today's world,” he added. Turkey, as a country, “which has suffered great casualties from terrorism and has opposed all forms of terrorism” will stand by New Zealand in its fight against terrorism, the VP stated.